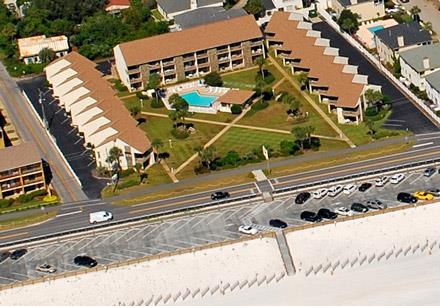 The ‘Beach Cruiser’ is a 2 bedroom, 2 bath condo nestled in the quaint little beach town of Miramar beach, located in ‘Sea Cabins’, just off of Scenic Gulf Drive. 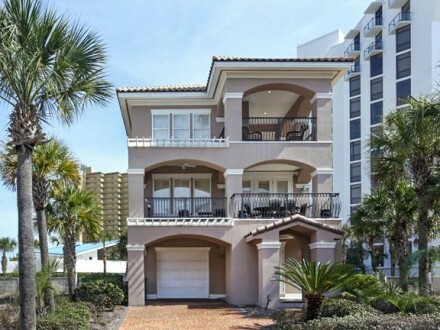 These cozy beach condos will take you back to the summer beach trips of your youth. 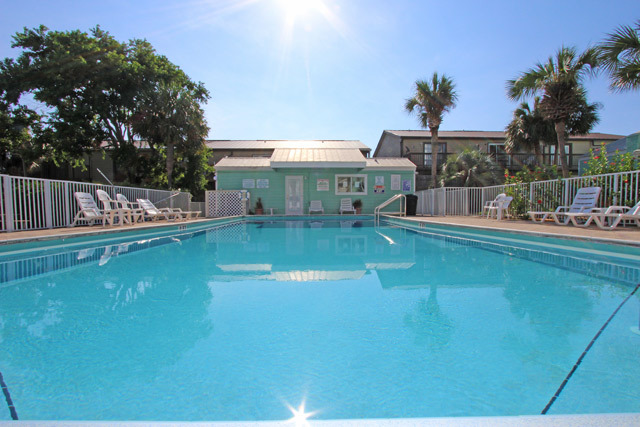 The community area offers a full sized, seasonally heated pool and picnic area to enjoy those late afternoon lunches when you come up from a long day on the beautiful, white sandy beaches along the emerald waters of the Gulf of Mexico. 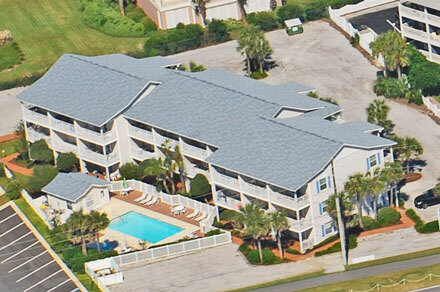 Your beach is accessed through a private, gated area that also features a beach pavilion. This 900 sq. 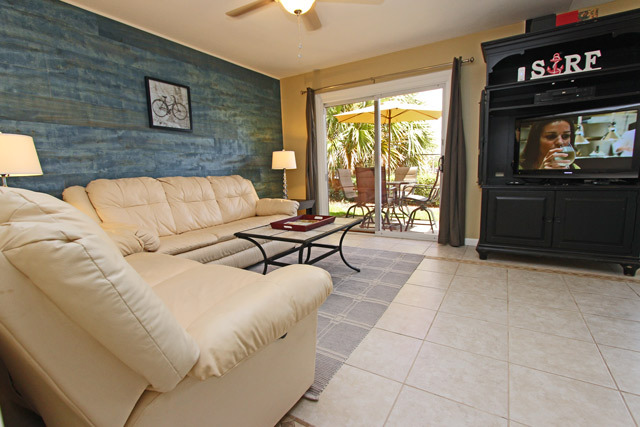 ft. condo boasts a spacious living area, with a queen sofa sleeper and is decorated in laid back, coastal décor. 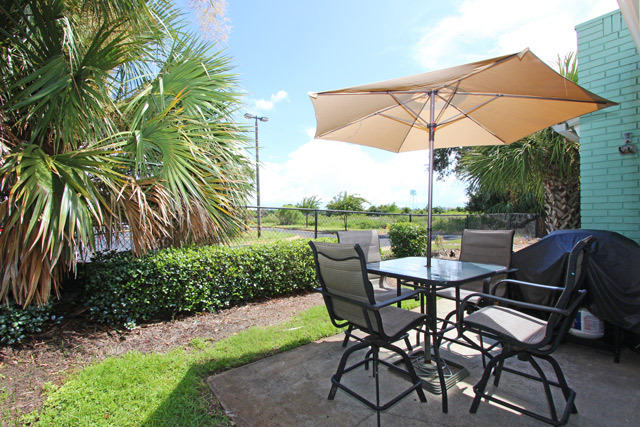 Adjacent to the living area is a deck with a patio table and propane grill for outdoor entertaining. 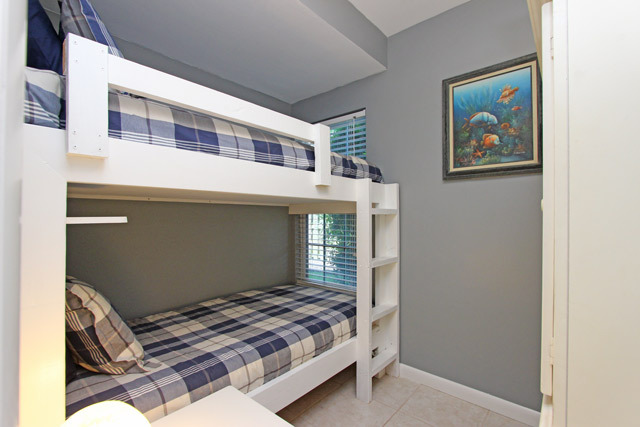 Just off the living area is a full community bath and nautical themed bunkroom for the kids. 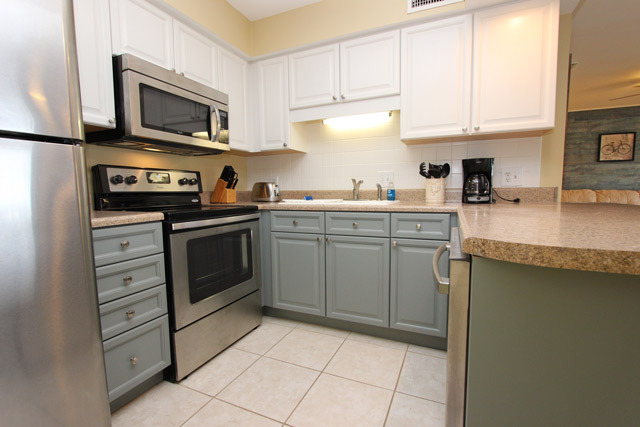 The fully updated kitchen is just the right size for preparing your family meals and features seating for 2 at the breakfast bar. 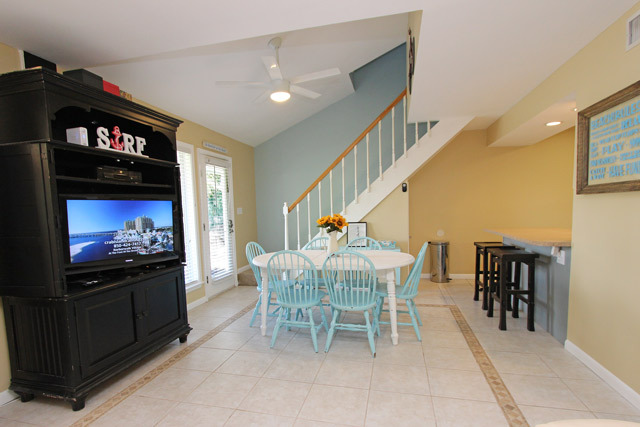 The dining area has additional seating for 6. 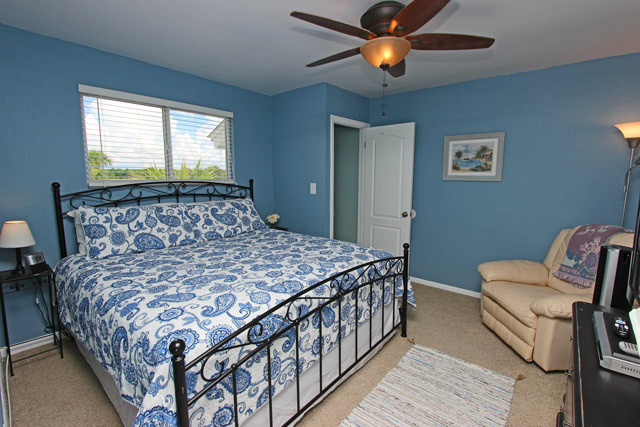 On the second floor you will find the Master Suite. This room features a King bed and a full sized bathroom with shower. 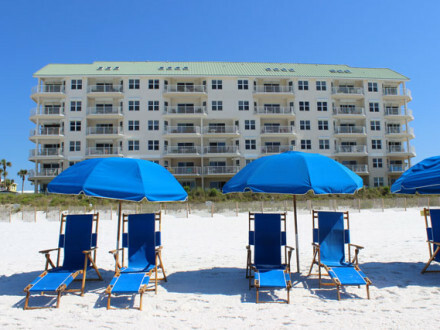 Additionally, the ‘Beach Cruiser’ is one of the only units in the area that includes a stackable washer and dryer for your convenience. Feel like getting out? Take a short stroll to Silver Sands Outlet Mall for shopping, dining, and entertainment. Prefer to drive? Take a trip The Harbor Walk. 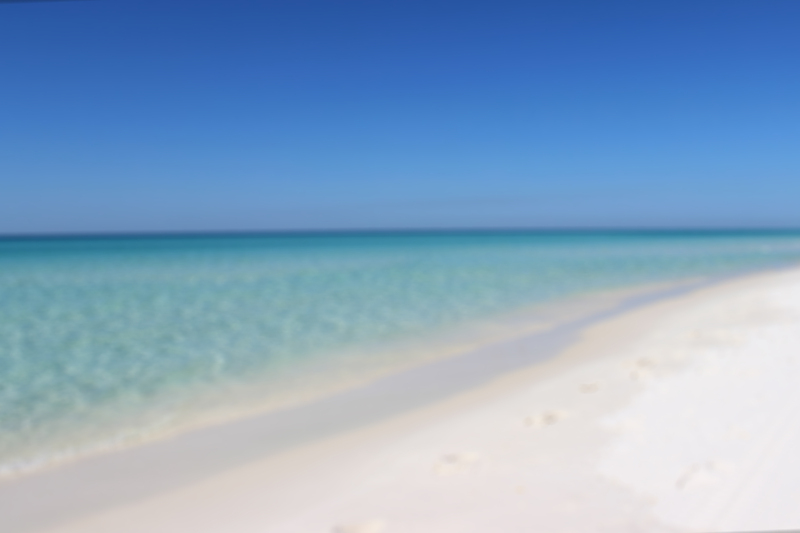 Experience the sights, smells and sounds of true Destin life! !